I started classical ballet when I was five years old. The appeal of ballet was irresistible, nothing else satisfied my reason for existence. I fulfilled my dream and danced professionally for six years. 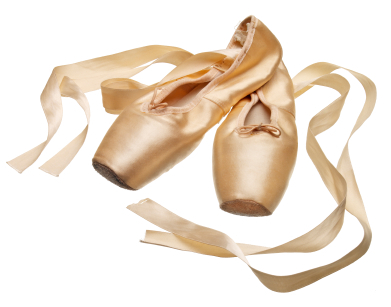 The time came, as it does for dancers, to put away the ballet shoes. The movement of the art of ballet is similar to the movement of ideas through writing. Design is the movement of emotion through the visual experience. My dreams growing up were vivid. I remember dreaming about a technical place where people could exchange information and learn, helping each other for generations to come. The Web is a vehicle of communication. A system of links, a vast library of information connecting people and ideas. WordPress is user friendly and I was designing and writing content. In 2013, the Premium WordPress Theme, the Divi Theme came out produced by Elegant Themes. From the moment I saw the Theme it represented the movement of ideas through writing and design. The Divi Theme was created by designers and developers who understand how to bring the design and the writing elements together. As I used the Divi Theme and changed over my websites, I was inspired to start a Website Consulting Service, designing and writing with Divi. The Divi Theme is the most comprehensive Premium Theme I have had the good fortune to use. Now, I talk, write, and design with Divi. Guest Blogger with Monterey Premier. Demo Site my other website, showing the incredible Divi Theme. Writing was the expression of the stories of my life experiences. In between ballet training, and school, I poured my heart out onto the pages. This was my silent reverie in the stillness of the night. None of these writings survived as I knew the writing would graduate onto a different stage. The craft of writing is an exacting task master, and I am its servant. Now that you know all about me, what about you, your presence on the web. When you need someone to listen to your vision and help you say it in words. Have the website you always wanted, but couldn’t find.